John Herzog, III, 65 of Sheffield, PA passed away Wednesday, August 22, 2012 surrounded by his family, following a courageous battle with cancer. Born October 4, 1946 in Ridgway, PA to the late John, Jr. and Ellen Anderson Herzog, he was a 1964 graduate of Ridgway High School. After high school, he attended the State Police Academy. He was stationed at Troop E in Warren, PA for most of his career, retiring as a Detective after 26 years of service. While serving with the State Police, he also served as the Warren County Fire Marshall. After retirement, John worked as a private investigator. In January 2007 he accepted a position as the County Detective in Warren, where he was head of the Drug Enforcement Task Force. He retired in January 2012. John was an active golfer. 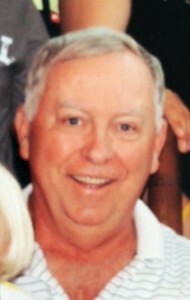 He was a member of the Blueberry Hill Country Club and golfed in the industrial and senior leagues. He loved to be out in the woods sitting in his deer stand or riding his four-wheeler on Bull Hill. John was also a member of the Eagles Club. He enjoyed coaching his children in all their sports. Most importantly, John loved spending time with his family, especially his grandkids. John is survived by his wife of 34 years – Donna Nelson Herzog; children – Donna Rae Herzog Ecclestone and husband Dan, of Cary, NC, Kimberly Herzog and partner Toby Sidon, of Warren, Shelley Anderson Calloway and husband David, of Asheville, NC, and John Anderson of Florence, SC; lapdog – Molly; four grandchildren – CJ Mitchell, Ean Ecclestone, Anna Ecclestone and Madelyn Herzog. In addition to his parents, John is preceded in death by a sister – Donna Rae Dush; father in law – Laverne Nelson; and brother in law and best buddy – Ed Nelson. My sincere sympathy to the Herzog family. I am a retired Trooper and worked with John in Erie. He was a true brother. May he Rest in Peace. So sorry to hear about John, I enjoyed our chats when I would give him a call to see what was new! We will miss him. God bless you through this rough time. We were all so sorry to hear about John passing. I am a retired Trooper from Erie. Please accept our thoughts and prayers at this sad time. You have my deepest heart felt sypathy. God Bless the family. John was a wonderful state trooper, firm but fair and always caring; a delightful friend, as ready to cheerfully be zinged as he was willing to non-maliciously fire his own zingers; a real asset to the communities in which he lived and worked; and a person who made our lives the better for having known him. His passing leaves a huge void, tinged with delightful memories. My sincere sympathies. Frank and I are so sorry to hear of John’s passing. Our thought’s and prayers are with you at this sad time. May GOD keep you in his care while you go through this difficult time. Words are’nt even adequate to begin to describe the type of person John was. We are all so blessed to have known him. The mold was truly broken after god made him. Our Thought’s and Prayers are With Your Family. May John Rest in Peace. John was such fun to be around. I still cherish the memories of our trip to Vegas with you two. May he rest in peace and you find comfort in the many memories he left behind. I’m so sorry for your loss. Take care and know that there are many people thinking of you. As a retired trooper from the Tionesta station, I knew and worked with John. What a great guy he was. My sympathy goes out to the Herzog family. I am so sorry for your loss. I just loved John and all the time I got to work with him through the Warren City PD. He always had a smile on his face and just brightened my day. We both had the privilege of working with John and impressed by his professionalism. Our sympathy to his family and friends. John worked for me back in Clarion as a boro police officer. He was one of the good ones. My sympathy goes out to the Herzog family.